Here is a really yummmmmy chocolate slice. Really easy to make and decadent to eat. 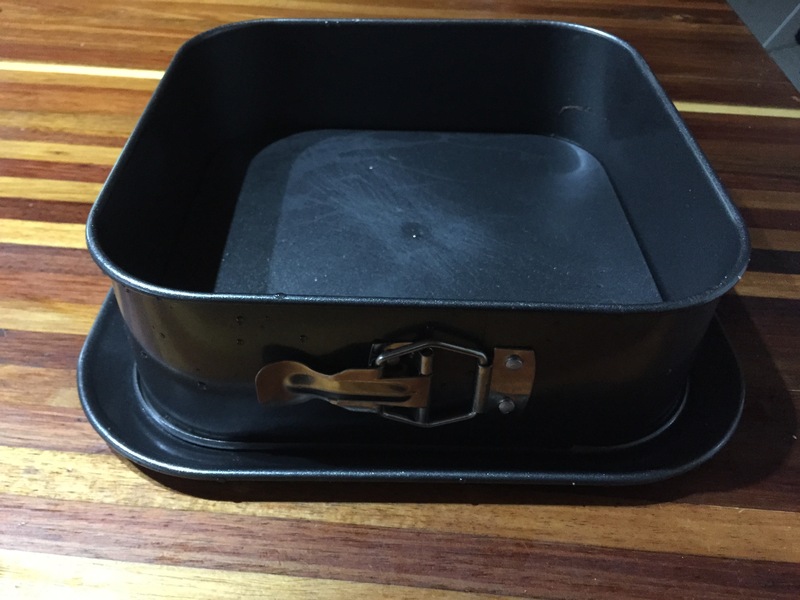 Grease a spring form (loose bottom) tin with cooking spray. Put biscuits in a large zip-lock bag and crush with a rolling pin until fine crumbs form. Transfer to a bowl and stir in cocoa and melted butter. Press into bottom of tin and chill until firm. Meanwhile, put dark chocolate in a large heatproof bowl over saucepan of simmering water and stir until half melted. (or melt in microwave) When half melted set aside. Pour 200ml of the cream into a small saucepan and bring to the boil over medium heat. Add to dark chocolate whisking until smooth. Whisk the mixture until thick and aerated. Fold in ¾ cup of the hazelnuts, then spoon onto biscuit base and smooth surface. Chill until firm. Heat remaining cream in a small saucepan. Once boiling, remove from heat and whisk in milk chocolate until smooth. Transfer to a bowl and put in fridge for ten minutes or until slightly thick and spreadable. 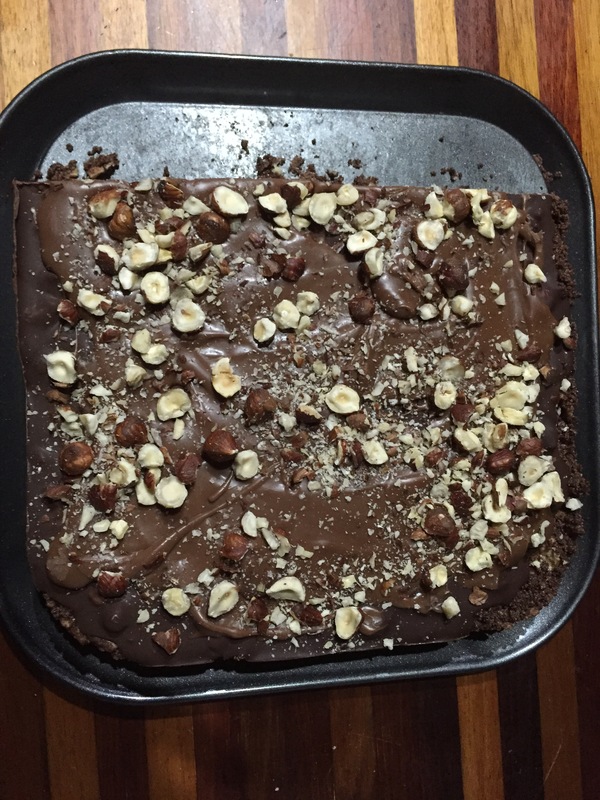 Spread chocolate mixture over slice and scatter with remaining hazelnuts. Chill for at least 10 minutes until set. Serve with cream or icecream. The recipe called for a 30 x 8 cm rectangular loose-bottom fluted tart tin, but I couldn’t find one so used this one and it worked fine. I always do a blessing on whatever I am making, I did this one once I had finished. Happy Halloween to All Our Readers ! Here to share my own writing, from poetry and short stories, to articles of all sorts. Enjoy!